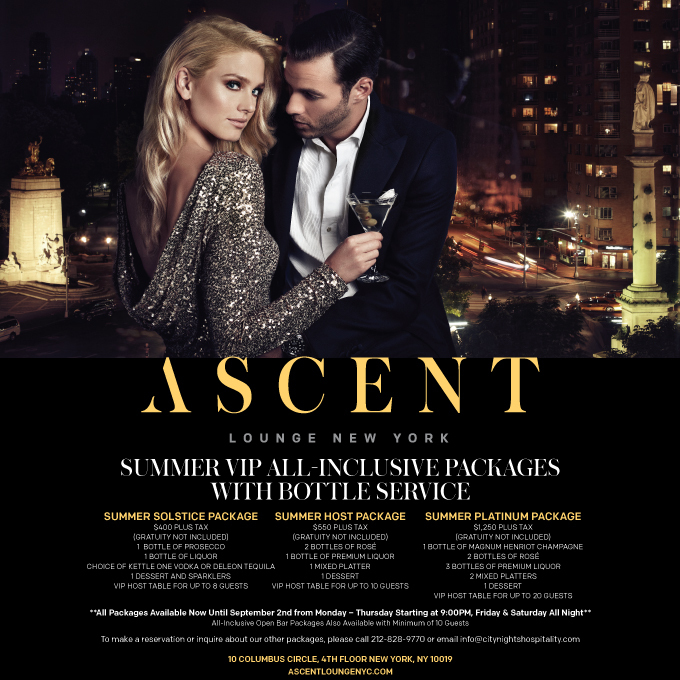 Offering an exquisite list of Wine and Champagne, Handcrafted Specialty Cocktails and full menu of Gourmet Shared Plates, Ascent Lounge is the perfect selection for an amazing night out from start to finish. Ascend to the 4th floor of the exclusive Time Warner Center and admire the sought-after Central Park View for your unprecedented Corporate Affair. Ascent Lounge is a favorite among Fortune 100 Companies for their exclusive holiday receptions. Elevated Nightlife with a View. From the energizing music and elegant atmosphere to the inviting service staff, Ascent Lounge presents the ideal setting for your special celebration. Have the unforgettable, once-in-a-lifetime wedding you have always dreamed of.